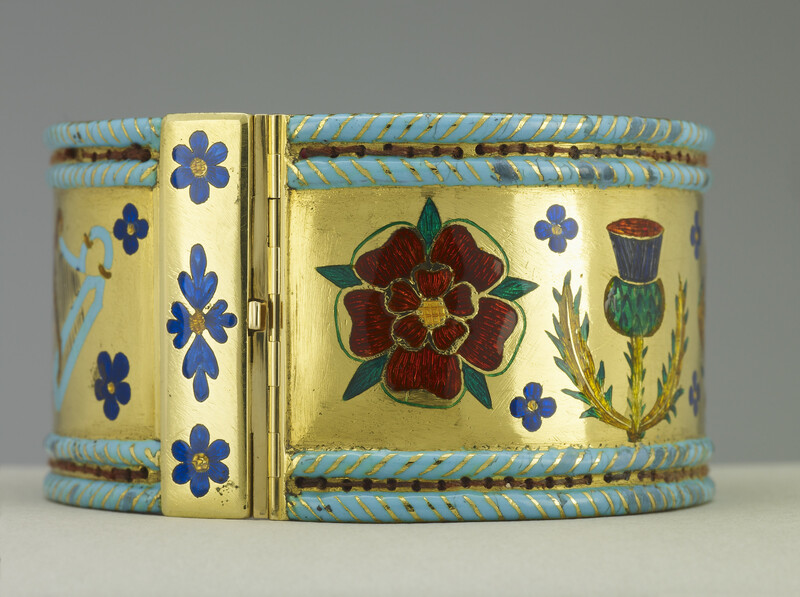 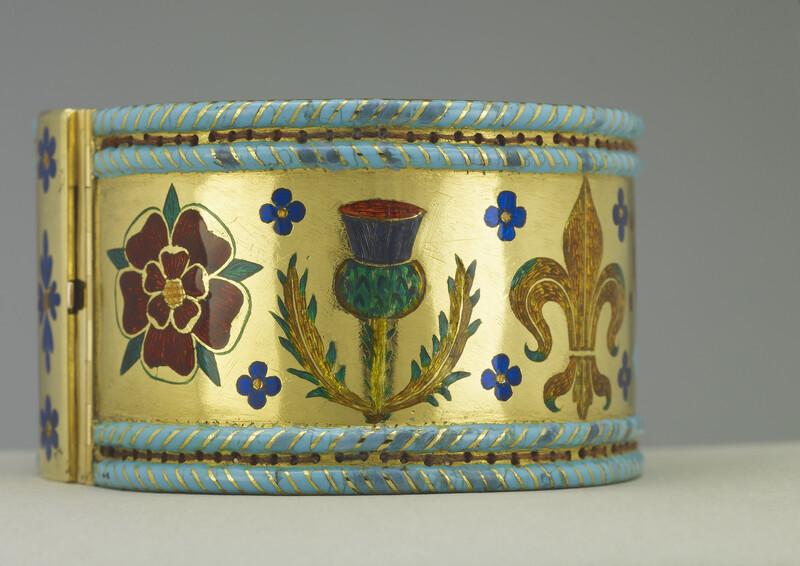 The Armills or oval hinged gold bracelets are each decorated in champlevé and basse-taille enamel with the national emblems (roses, thistles, fleurs-de-lis and harps) and dark blue fleurets and red pellets between light blue enamel herring-bone borders. 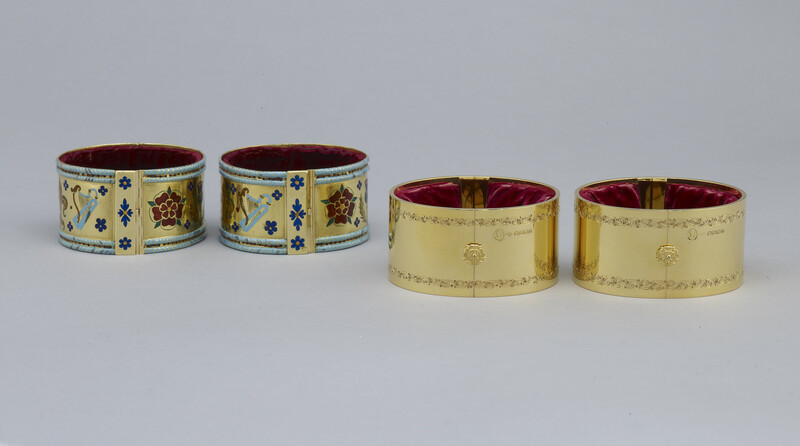 They are lined in red velvet. 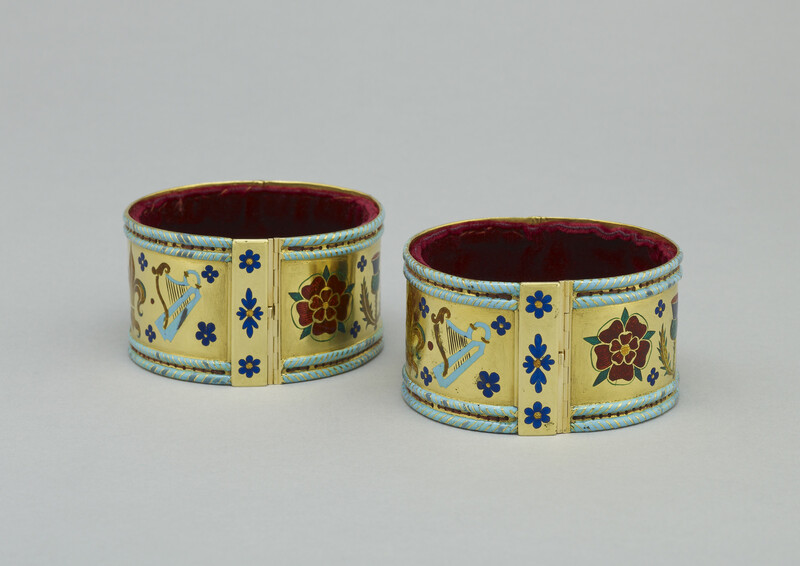 These Armills were made in 1661 to replace those lost during the Commonwealth period (which were jewelled). 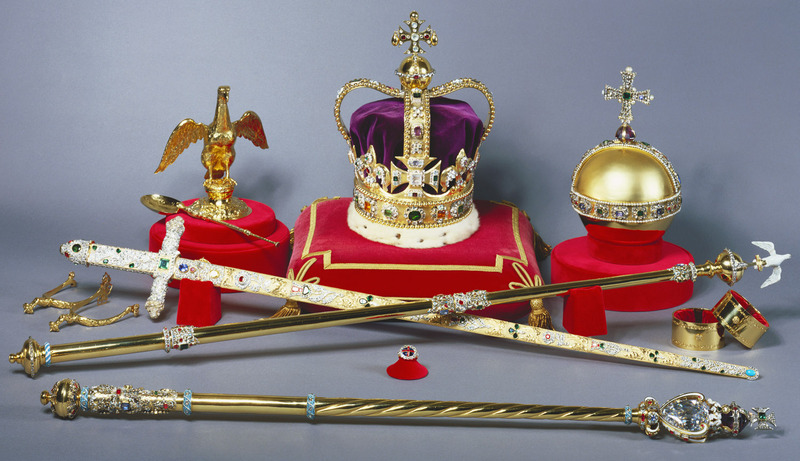 However already by that date their exact purpose during the coronation ceremony was unclear. 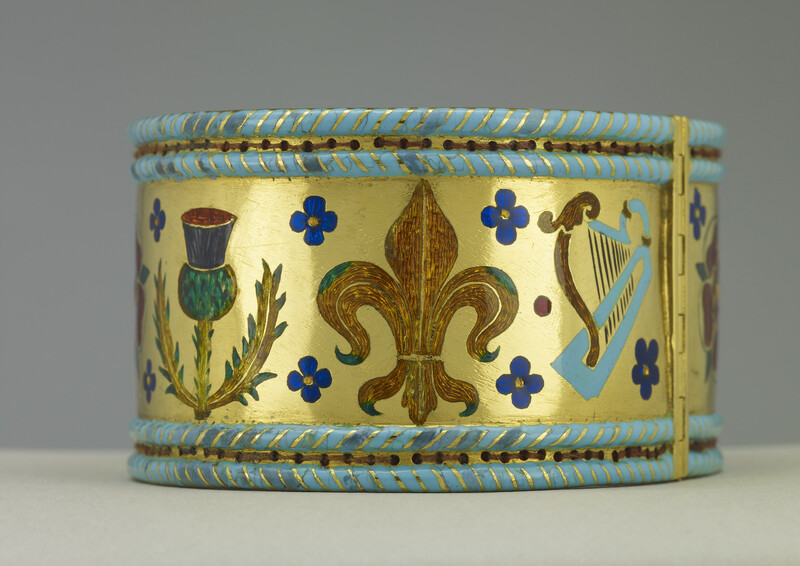 Nevertheless the wording of the ceremony refers to the 'bracelets of sincerity and wisdom' and the Armills are thought to relate to ancient symbols of knighthood and military leadership and they are still presented to the Sovereign. 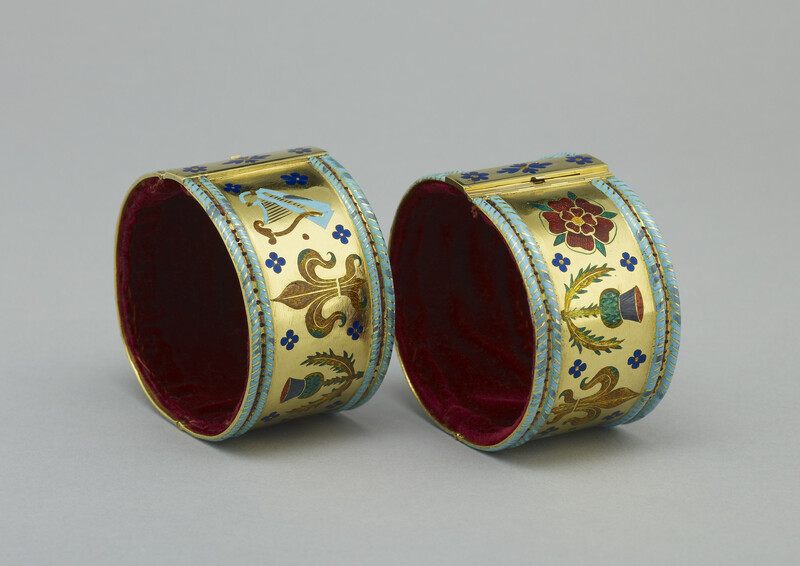 These Armills were used at every coronation from 1661 until 1953, when new versions were made for Queen Elizabeth II. 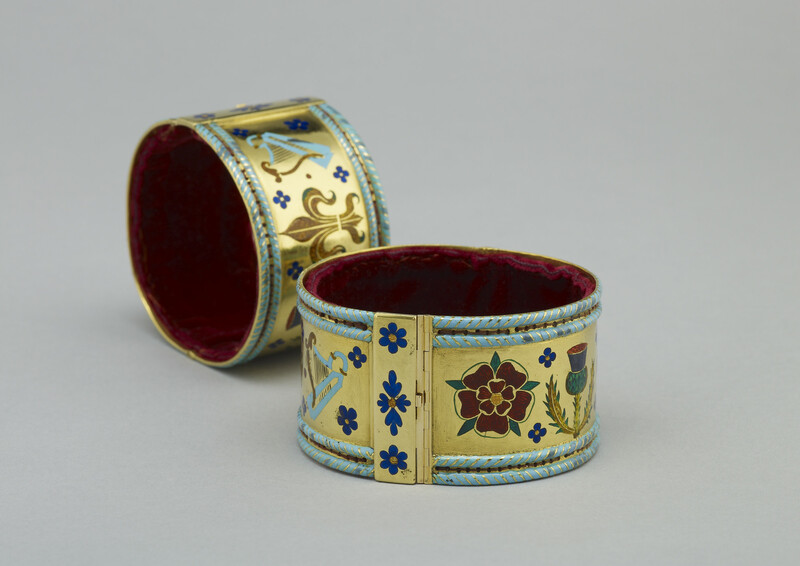 Supplied for the coronation of Charles II in 1661 by the royal goldsmith, Sir Robert Viner.